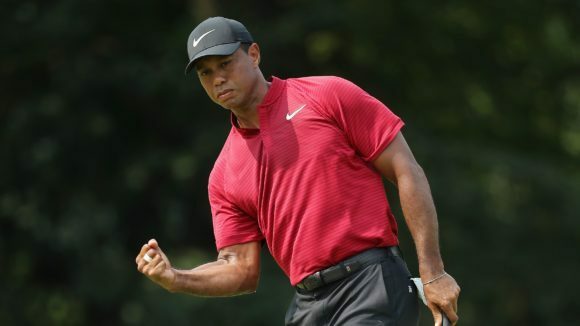 Tiger Woods is one of the most electrifying personalities in all of sports. He is one of those figures who causes people to care when they otherwise might not. Whenever he is in contention to win a golf tournament both die-hard and casual fans alike tune in hope of witnessing history being made. Whenever he is not playing well and is not in contention to win, they do not tune in. And those numbers are likely increased even more when the tournament in question is one of golf’s major championships. He also creates a general buzz that engulfs his sport. I did not watch a single shot of The Masters over the course of the four days it was played, but I knew that one player in particular was in contention because people who might not normally tweet about golf were tweeting about Tiger’s run on the links. And bear in mind that on my @RichardAllenIDR account I do not follow very many general sports media. That account is primarily reserved solely for racing related topics. In other words, if that account was lighting up on Sunday, there were a number of people posting who do not consider golf to be their favorite sport. Tiger drives traffic whether it be among those who are rooting for him to win or those who are hoping someone will beat him. It has been widely reported that NASCAR has had a case of the doldrums over the past few years as television ratings and grandstand attendance have fallen well off of what they were when the sport reached its peak in the late 1990’s and early 2000’s. And while there are many reasons for that drop off, the fact that the sport has not really had a truly electrifying personality since the death of Dale Earnhardt in 2001 is certainly one contributing factor. Yes, Dale Earnhardt, Jr. was a very popular driver, but were casual fans drawn to their television sets and to their nearest racing facility every Sunday to watch him win … or lose? The ratings drop and attendance downfall were in full swing while he was still driving so the evidence indicates that the masses were not driven to check in on his successes and failures on a regular basis. 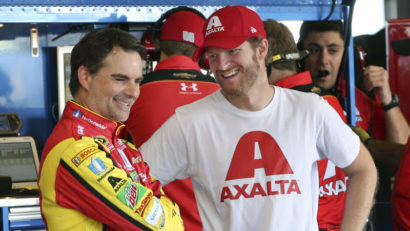 Other stars such as Jeff Gordon, Tony Stewart, Matt Kenseth and Carl Edwards(all of whom left the sport within the past few seasons) had significant numbers of fans but they apparently did not fit into the category of “must see” personalities for the casual observer, at least not for long periods of time. When Dale Earnhardt was on the track, people watched to see what he would do next. If not, they might have missed his late race tangles with drivers such as Darrell Waltrip in Richmond or Terry Labonte in Bristol. His battle with Bill Elliott during The Winston in Charlotte was something not even the most casual of fans would have wanted to miss. They may not have gotten to witness his victory at Talladega in which he drove from well back in the field with less than five laps to go to earn yet another restrictor plate win. He created a buzz much similar to that of Tiger Woods even before the era of social media. But at this time, it does not appear as if NASCAR has that sort of personality in its current driver lineup. 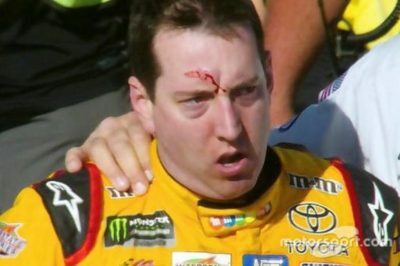 Yes, Kyle Busch stirs animosity within people. He is a great villain, perhaps one of the sport’s all-time great villains. But every villain needs a good guy to serve as his worthy opponent. Right now there isn’t that one figure who the fans can root for to vanquish the rowdy one. Kyle Larson is a highly regarded talent but he hasn’t yet shown the ability to win races or even run up front on a consistent basis. Young and talented drivers are in the current NASCAR fold. Chase Elliott, Ryan Blaney, Christopher Bell, Bubba Wallace, Austin Dillon, Erik Jones, Aric Almirola and Daniel Suarez to name several are counted among the rising stars in the sport. But will they win races in significant enough numbers AND develop the type of personalities that will cause die-hard and casual fans alike to care whether or not they are winning races? To be honest, I do not see that person on the immediate horizon. Tiger Woods makes people who do not always care about golf pay attention. Using attendance and ratings as a guide, that person is not currently in NASCAR. The sport needs him or her to emerge sometime soon.